You can accomplish a lot in WordPress without ever leaving your dashboard. If you want to get the most out of your website, however, it pays to learn about what’s happening behind the scenes. A vital first step in that process is understanding how to use the .htaccess file in WordPress. Your WordPress site relies on several important ‘core files’ to do its job, and the .htaccess file is one of them. While by default it only performs a few tasks related to your site’s permalinks, it can be added to and customized to carry out all sorts of useful functions like redirecting visitors to your site or beefing up your site’s security. 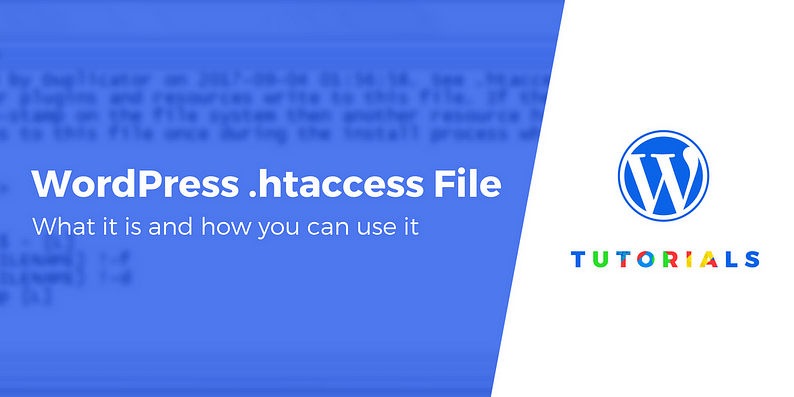 In this post, we’re going to introduce you to the .htaccess file and explain what it’s all about. Then, you’ll learn how to find the .htaccess file in WordPress, as well as some of the helpful things you can do with it. The .htaccess file is a configuration file for the Apache web server (which is what most WordPress hosts use). In other words, it contains rules that give your website’s server various instructions. Just about every WordPress site has an .htaccess file, located in the ‘root’ or central directory. It’s a hidden file (which is why the filename begins with a period), and has no extension. 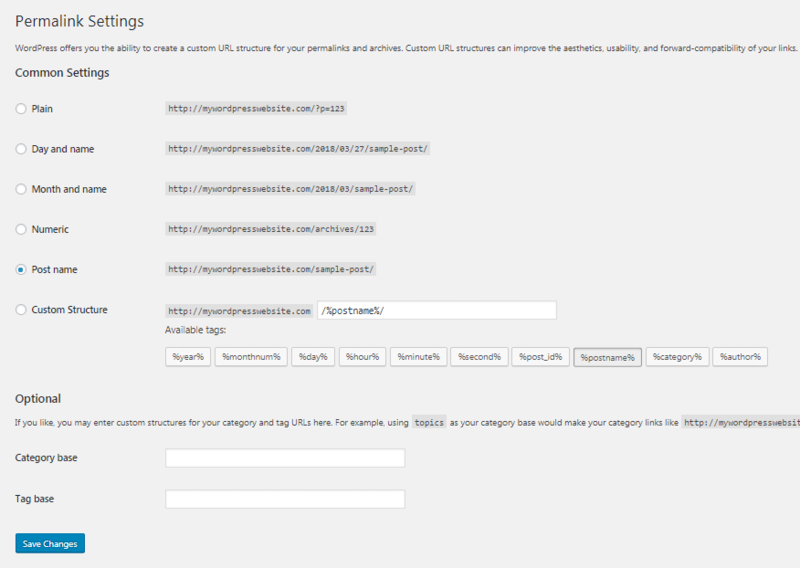 It controls how your site’s permalinks are displayed. If you make a change to your permalink structure, therefore, the .htaccess file updates with new instructions for the server. In fact, sometimes the .htaccess file isn’t actually created on your site until the first time you customize your permalinks. On many sites, this is all the .htaccess file ever does. However, you can also use it to make various tweaks to your site’s functionality. For example, you can set up 301 redirects in the .htaccess file. You can also use it to tighten security, such as by restricting access to your site and other core files. Additionally, some plugins will add their own rules to your .htaccess file to help the plugin function. This is especially common with caching or security plugins. If this seems a little abstract, don’t worry. You won’t need to understand all the technical details in order to find and make changes to the .htaccess file in WordPress. Before we go any further, we need to discuss a few safety measures. It’s important to understand that making changes to your site’s files directly can be risky. If you aren’t careful, you can end up breaking factors that control your site’s key functionality, or even bring down your site altogether. Back up your site before editing any of its files. This way, you can quickly reverse unintentional changes and mistakes. Use a staging site to test your edits before performing them on your live site. On a staging site, you’re free to experiment without any worries. Download the .htaccess file to your local computer before making any edits. That way, if you specifically break something in your .htaccess file, you just need to upload the original copy to fix the issue. To access the.htaccess file in WordPress, you’ll need to make a direct connection to your website through File Transfer Protocol (FTP). You’ll need an FTP client, such as FileZilla, and some FTP credentials from your web host. If you aren’t sure how to do this, our beginner’s guide to FTP will walk you through the process. A window will pop up asking if you want to upload the new, edited version of your .htaccess file to the server. Select Yes, and your changes will take effect immediately. When you re-open FileZilla and navigate to your website’s root folder, the .htaccess file should now be there. Now that you know where to find the .htaccess file in WordPress and how to edit it, you may be wondering what changes you can actually make. There are a lot of things you can do with this file – too many to cover in one post. However, we’ll look at a few examples to get you started. First, let’s talk about redirects. If you move a page or post – or your entire website – you’ll need to automatically direct users who visit the old URL to the new location. This requires setting up a 301 redirect, and is something you can do with the .htaccess file in WordPress. Replace /oldpage.html with the page’s old permalink, and the following URL with the new link to the page. You can add a new line for each page you’d like to redirect. You can also use similar snippets to redirect your entire website. Or, you can use a snippet to send all traffic to the secure HTTPS version of your site (if you have an SSL certificate ). To learn more about using the .htaccess file to improve security, you can check out the WordPress Codex entry on the subject. Just remember to back up your site and use a staging environment when trying out any changes! Learning to work directly with your website’s files is an important step in your journey to becoming a WordPress expert. The .htaccess file is a good place to start, since it’s a relatively simple file that can nonetheless be used for wide variety of applications. Before you make any changes to the .htaccess file in WordPress, be sure to back up your site and use a staging environment just in case. Then, you can use FTP to access your site, find the .htaccess file, and edit it. Once you know how to do that, you can simply look up the code required to add whatever functionality you require. Do you have any questions about what you can do with the .htaccess file in WordPress? Let us know in the comments section below!